Sara Kestelman is a familiar figure on British stage and screen. 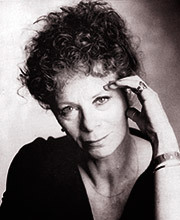 Among her extensive work for the RSC and the Royal National Theatre and in London’s West End have been performances as varied as Three Tall Women and Fiddler on the Roof, Nine and Cabaret – for which she received Oliver and Clarence Derwent Awards. She is also a published poet.